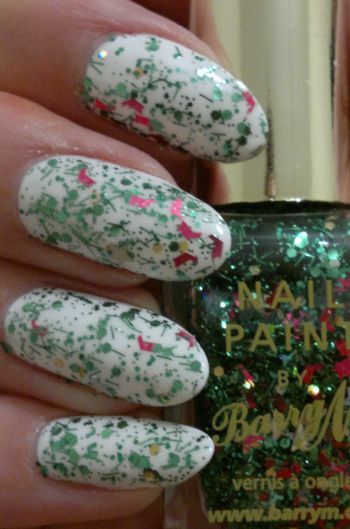 For this mani I painted my nails with Primark PS Nail Polish Marshmallow (2 coats). 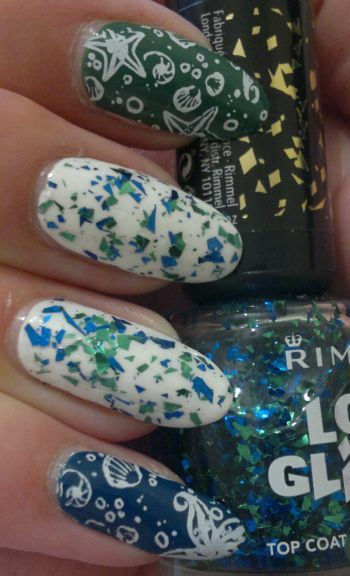 This is a great white polish. I’m glad I stocked up because I haven’t seen this polish in quite some time. I used an unnamed tomato red Beauty UK polish and a small piece of a make-up sponge to apply the “blood”. 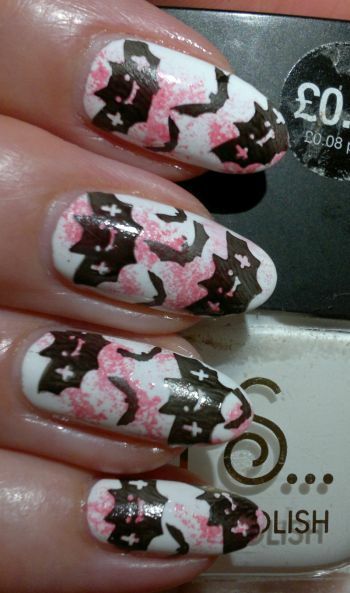 For the bat images I used MoYou London‘s Festive 53 plate (big bats), an unbranded stamping plate (small bats) and my home-made “stamping” polish. 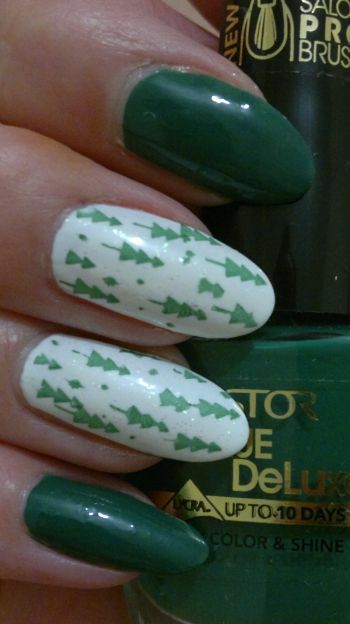 I likd this mani. But I think I should have chosen a more vibrant red polish for the blood effect. Oh, and by the way, if you’d like to order from MoYou, you can get 10% off if you order through this link. For this mani I painted my nails with a purple Beauty UK polish (2 coats) that came in a nail polish gift set. I think this purple polish is fantastic (formula, brush, application, opacity, drying time) – but it’s too bad it doesn’t have a name! Initially I wanted to stamp. However, I decided to do a foil mani. 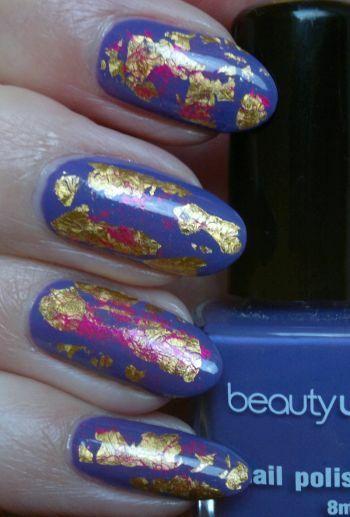 I used a random gold foil and some leftover fuchsia foil to make my mani stand out – and it worked! 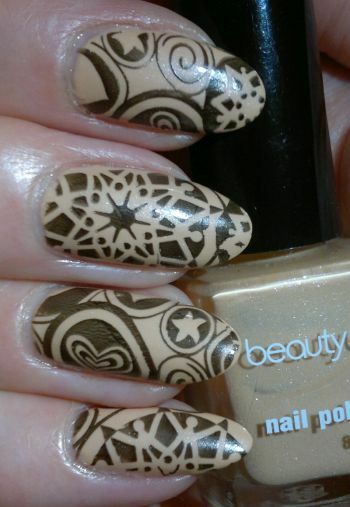 Yes, I was really happy with this mani! How do you like it? Feel free to comment. And thanks for stopping by!